“Drop shipping” – Anyone who has ever looked into how online businesses work has probably come across this term. Yet, even fewer people actually understand how it works. To someone who is new to the online business world and looking to break into the e-commerce scene, the dropshipping process can seem a little intimidating as it can be difficult to find a reliable source that tells you everything you need to know. So here it is – THE definitive guide to dropshipping. 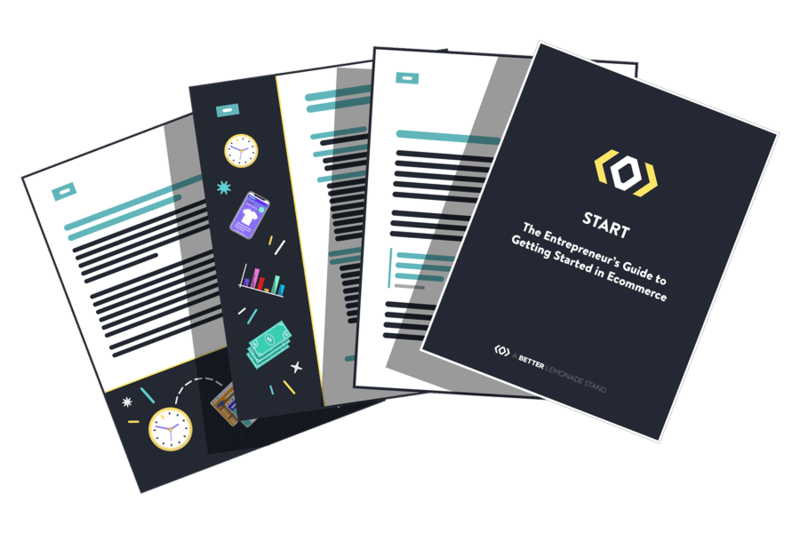 It covers everything from what the term essentially means, how this particular business model works and, if it’s for you, how to find the right product and supplier to actually run a successful, booming e-commerce dropshipping business. So let’s dive right into it! Aren’t Drop Ship Manufacturers, Wholesalers & Aggregators the Same? This kind of business model is extremely attractive as it eliminates the need for the store owner to have a physical business location such as an office space or warehouse – instead, all they need is a laptop and an internet connection. Note: Many businesses that do own physical spaces (offices or warehouses) of their own also use drop shipping for some of their goods as it helps free up resources and space for other products. Typically, the profit margins for dropshipping can range from 15% – 45%. However, the profit margins for consumer durables and luxury items (i.e. electronics, jewelry, etc.) can yield a profit margin of up to 100%. It’s about finding the right niche and supplier while entering a market that isn’t already overly saturated. A good way to ensure higher margins can be to source directly from a manufacturer instead of a vendor/supplier, thus effectively cutting out the middleman. Once the business is off the ground and gains a little traction, it can quickly turn into a money making machine that only requires minimum input. Successful dropshipping businesses such as that of Irwin Dominguez, an accountant turned ecommerce entrepreneur, have made USD $1 million in sales in just 8 months of launching the online business! This won’t be the case for every dropshipping business, but the potential exists. Bonus: Check out some case studies of people who have actually started a dropshipping business from scratch! A manufacturer is someone who actually produces the products themselves. They may or may not have a drop shipping program, but the retailer is lucky if they do as it removes the hassle and inflated costs of the middle man, giving the retailer the best possible prices. These reduced costs translate to larger profit margins. A drop ship wholesaler/supplier is someone who purchases one type of product from the manufacturer in bulk and helps to package and ship it to buyers online through the retailer’s ecommerce businesses. A drop ship aggregator, on the other hand, is someone who buys different products from multiple manufacturers to provide the retailer with a variety of products to sell. Several disadvantages of drop shipping can be solved when an aggregator is used – no multiple wholesaler shipping costs, less time sending out multiple orders to multiple vendors (therefore preventing a mix up and delay in the orders and shipment) – however, do bear in mind that aggregators take a higher cut which could adversely affect your profit margins. Dropshipping is a pretty great business model for a first timer who is just dipping their toes into the online business world. It’s attractive to a novice as it’s a low-risk and low-investment way of starting your own business, thus, doesn’t feel like so much of a gamble. Since the amount of capital that needs to be invested into this business model is minimum, it is also ideal for someone who is already a store owner with an inventory but is looking to try out particular products in the market to see how well it does before stocking up on it. If you’re interested in learning more about this, check out our How to Test Product Ideas with Dropshipping When You Don’t Dropship post. For someone who is expecting amazing margins right off the bat, this business model may be disappointing. If profit is your primary interest then you’d be better off going straight to the source – i.e. the manufacturers – but manufacturers don’t always facilitate dropshipping. Since dropshipping profit margins are also considerably lower in comparison to other business models such as manufacturing and wholesaling, dropshipping would perhaps not bode well with a brand that is a new startup, as the business doesn’t have the ultimate control when it comes to customer satisfaction through branding and brand experience. Validating Entrepreneur: Drop shipping can be a great way to test new products, or even a new startup, before investing heavily into inventory that may not sell, making this the perfect business model for the entrepreneur that requires a high level of business and product validation before investment. Budget Entrepreneur: Drop shipping is definitely the least expensive method of selling online because you don’t have to purchase any inventory upfront. Because of this, the drop shipping method works well for entrepreneurs who have a limited budget or would prefer to keep startup costs as low as possible. First Time Entrepreneur: The drop shipping model for selling online also is a good business model for someone just starting out selling online. The fact is, selling online isn’t easy. Driving traffic and converting that traffic for the average marketer can take a long time to figure out and optimize. Because of the low costs associated with starting a drop shipping business, it allows new entrepreneurs to start to learn the ropes of setting up a store, driving traffic and conversion optimization before investing thousands (or more) in inventory that you may get stuck with. Walmart Entrepreneur: Drop shipping is also for the person that wants to sell a wide variety of products and models. Depending on what the price range is of the products you intend to sell, or if you want to sell hundreds or thousands of different products, it’s nearly impossible without massive funding to acquire all that inventory. In this case, drop shipping would be the appropriate model because, again, you don’t need to purchase inventory upfront. Brand-Centric Entrepreneur: Building a long-term sustainable brand is difficult but the rewards can be incredibly worthwhile. However, building a brand while utilizing the drop shipping business model is exponentially more difficult as there are so many elements of the entire customer experience that you won’t be able to control. For example, many times you may find out that after a customer has purchased something from you it’s sold out with your drop shipper. This leaves you in the uncomfortable and frustrating position of trying to coordinate between your customer and your drop shipper and can become a really poor experience for your customer. Another point to keep in mind is because you’re not shipping the product yourself you don’t have any control over the experience of your customer receiving the package. Almost 100% of the of time it’s going to be the product in a big brown box with packing peanuts. You need to ask yourself if that’s the experience you want your customers to have. Finally, because you don’t ship the products yourself you don’t own the relationship with the shipping companies. When something does go wrong and your customer doesn’t receive the package you can’t simply call UPS and get the situation corrected. You need to coordinate this with a busy account rep which could take days to sort out, again, leaving your customer with a bitter taste in their mouth. Margin Focused Entrepreneur: Probably the biggest problem with the drop shipping business model is the razor-thin margins. Generally, for traditional drop shipping products and companies your gross margins (the price you sell it for minus the cost you pay your drop shipper) are around 10-20%. At the end of the day when you pay your credit card transaction fees, shipping cart, email service, and other app fees you will be looking at only a few percent. 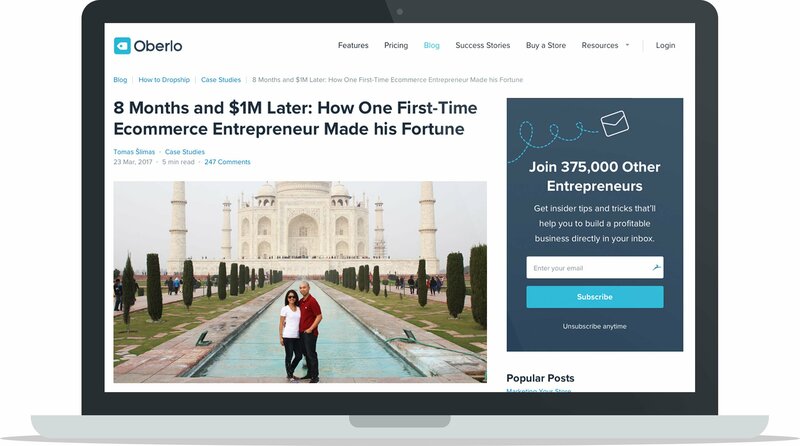 There is a fair share of online entrepreneurs running 1 million dollar revenue per year drop shipping businesses that at the end of the day are making 40-50k profit. Non-Creative Marketers: Most manufacturers (which can also be drop shippers of their own products) have sales goals in which 30% of the sales need to come from direct-to-consumer sales, usually through their own ecommerce site. This means that if you’re selling their products, you will be competing directly with your own supplier, a supplier that is able to have much higher margins than you on the very same products. Any chance of competing head-to-head against them is pointless. They will almost always win because they can afford to. If you’re going to beat your own supplier you need to be creative and find and exploit channels they aren’t using to acquire customers. If your only ideas are to use Google Adwords and Facebook Ads, you’re likely out of luck. To have a successful ecommerce business, you have to find the right products to sell, but when it comes to drop shipping finding the right product is possibly THE most important aspect of your business. There is almost no way to ascertain which products are completely “perfect” for the drop shipping business model, however, having a short list of product ideas that you are sure will sell (based on hard facts, figures, and research) is a good way to start determining the products that you will end up selling. The Retail Price: When it comes to drop shipping, the retail price and the wholesale price are crucial. It’s all about hitting the sweet spot with the way you price your products: Low prices may encourage a larger number of sales but you’ll make a smaller profit margin per product, while higher priced items might sell less but you’ll be able to make more profit per item. Find the balance that works for you and your customer’s expectations. As we mentioned earlier, profit margins for dropshipping can be between 15% – 45% and that’s what you as the retailer should likely aim at. This typically means that pricing items between $50 to $100 is optimal, depending on the product. Size & Weight: Packaging and shipping costs vary between different products based on how much packaging material is required and the effort (manual effort or machine effort) required to ship the product. In that sense, having smaller and lighter items are the cheapest to drop ship and give you the largest profit margin. Larger products can be drop shipped with a relatively large profit margin too, but starting out smaller is the best way to go. Cross-Selling Products: Selling sets of related products is a great way to give more value to your customers and encourage them to purchase more every time they make an order. Consider which products you can sell together that serve a related niche. For example, if you drop ship easels it may make sense for you to drop ship canvases, paint brushes and other art supplies, too. If you choose to go this route, consider how you can strategically price your products to make the sale worth just as much value for you as well as your customer. You might choose to sell your main product at a lower profit margin (say, 10-15%) to encourage your customers to buy it, but then make up for lost profit by cross-selling other accessories and components for the main product at a larger markup (such as 100%). Durability: If the products and goods you sell are either disposable and/or renewable, there is a higher chance that your customers will place repeat orders, thus driving up your sales. Many retailers set up subscription options for their customers which ensures that there are always repeat purchases. You can make this an even more attractive offer for your customers by providing a discount for subscribers to your service. Turn-over rate: Consider the turnover rate of the products that you are selling (the rate at which the product is changed, updated, discounted, etc.). As a retailer with an online store, a lot of your business will come from the product photography and the copy/content that you publish about the products. These are time-consuming and will potentially cost you too. Therefore if you sell products that keep changing in short spans of time, you will have to keep switching up the content which would be a constant re-investment of time and money – with the added stress of actually updating everything physically. Learn more about how to take great product photos, create a beautiful product page, and how to write great product descriptions. 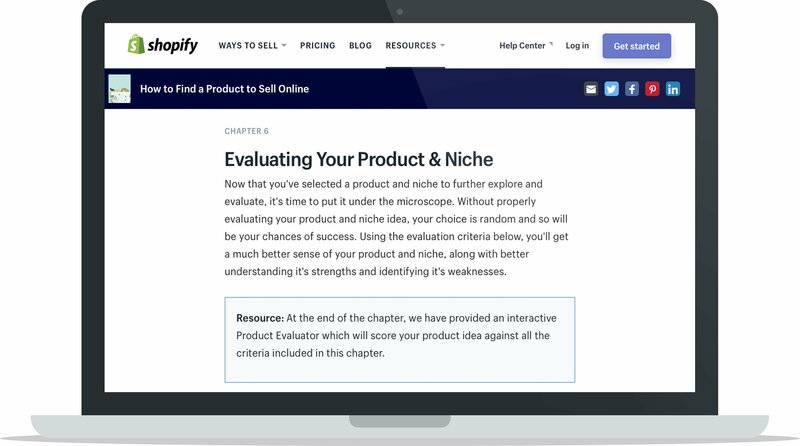 Note: Learn about how to evaluate your dropshipping product idea in greater detail with the criteria discussed in Shopify’s Evaluating Your Product & Niche post. Do not base your choice of product on what your likes and dislikes are. Always base your product decision on facts, research, due diligence and evaluating and validating the market’s demand. Do not sell knock-off or “true copies”. Not only is this a cheap gimmick that won’t necessarily get you anywhere with customers, but it is also illegal in most countries! Avoid these type of products so you can avoid the hassle or dropship products from reliable and official merchandisers such as MXED. Don’t just hop onto the bandwagon. “If everyone is selling it, I should too,” isn’t always the right reason to pick a product. The market for trending products is typically very saturated so there will be high levels of competition. If trending products are something you want to pursue then make sure to conduct thorough research into the rise and fall of the trend so you know what to expect from consumer interests. Check out a tool like Google Trends to help evaluate trends. Step One: The first and foremost step is to measure the current demand for your product. Use the KWFinder tool to find out how your product’s keyword is ranking on a monthly basis – this will give you an idea of how many people are searching for your product in search engines like Google every month, and it will give you a general idea of what the demand is like for your product. Ideally, you want to find keywords with monthly searches in the thousands if you plan on building a business around it, but if your product serves an emerging market then there may not be any people searching for it yet. 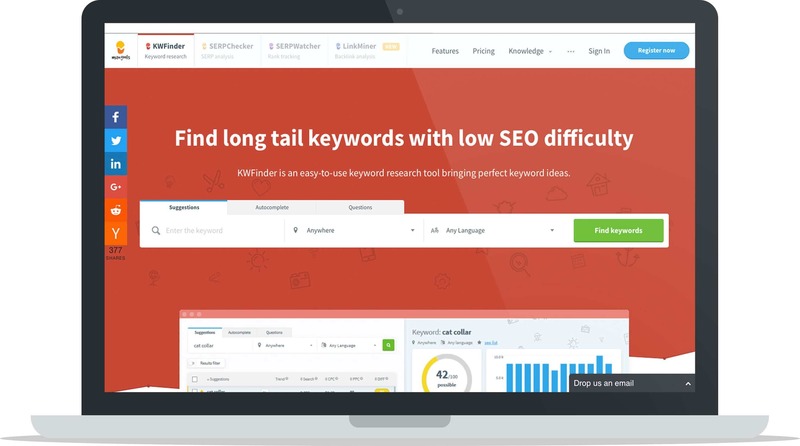 To learn more about keyword research and how it can help you build your business successfully, check our Ultimate Guide to Keyword Research and if you want to learn more about the KWFinder tool, check out our KWFinder Review. Step Two: The second step is to understand how seasonality may impact your customer’s purchasing patterns. Certain products are only seasonal commodities while others will do well year round, but how do you figure out the difference between the two? Guesswork may be futile and unnecessary when you can just use Google Trends. This tool gives the user a graphical analysis of the peak search seasons for any given product (or keyword) over a vast amount of time. Forecasting trends can help you prepare for dips or spikes in sales throughout the year and ensure that you aren’t caught off guard. Step Three: The third step is to scope out your competition and observe how they engage with the market. Search out your competitor’s websites, social media platforms or their presence on marketplaces like Amazon and eBay and pay close attention to the number of ratings, reviews, comments and overall engagement that they receive and what their customers are saying. See if you can find any opportunities where your competitors aren’t meeting the market’s expectations so you can go ahead and close that gap. Demographics: The demographics such as the physical/geographic location, income bracket, etc. of your audience is important to understand in order to know how big your audience is, where the majority of them are and how you can cater your drop shipped products to them. Gender: Statistically, men and women shop differently and have different spending and purchasing patterns when it comes to dropshipped goods or just products in general. While the gender of your potential target market may not be the most important aspect to know, it still may be worth looking into. The kind of device they use to shop, the kind of content that works for them (testimonials, product descriptions, etc. ), the kind of language that would prompt customer conversion – all these are factors that may be influenced by gender, too. Age Range: Being able to understand the spending patterns and purchasing patterns of different age groups can be incredibly useful. Millennials (individuals born between 1980-2000) are proven to fall in a lower income bracket and statistically spend less, thus drop shipping expensive products that specifically target the age range of young adults may not be completely advisable. The same goes for the 60+ bracket as they typically aren’t comfortable with purchasing products, dropshipped or not, over the internet. Type of Institution: Are you selling your products directly to customers, other businesses or government organizations? Whether you’re selling your drop shipped goods Business-to-Consumers (B2C), Business-to-Business (B2B) or Business-to-Government (B2G) will impact many aspects of your business such as who exactly your customers are, what quantity of products they purchase from you, their main goal for purchasing your products, how you market your products to them and more. Typically when you’re dropshipping the most common market you’ll be selling to is directly to consumers, so consider how that will impact your business overall. In order to beat the competition, you need to know the competition. If the product you want to sell has established sellers already, it’s actually a good sign. However, if there are too many sellers in that space, it could pose a problem for your business to stand out amongst all the other businesses. Use online tools to scope out your competition’s website: Online site explorers such as SEMrush allow you to check the ranking and domain authority of any website of your choice using only a URL. This helps you paint a good picture of how much of their traffic is directed from keywords and other links, and where exactly it’s coming from. This, along with scoping out their website personally, should give you a well-rounded insight into the workings of their website which you can base on facts and figures. Learn more about SEMrush here in our SEMrush Review. Order products from the competition to get an idea of how their process works: The way something appears online can pretty obviously be different in real life. Ordering from the competition can give you an idea of the quirks that set them apart, negative aspects about their brand experience and perhaps even ideas and tips for your own business. That being said, don’t necessarily copy some or the whole of their shopping and shipping process, simply observe any of their flaws so that you can work to improve them for your own customer experience. Analyze their social media channels: Your competitor’s social media channels are an amazing way to get direct customer feedback about their business and also gives you a good base to analyze their marketing strategy from. Check the kind of engagement their brand has and the flaws that you could possibly work on for your brand. Pitting your own content against theirs can also become easier when you know what kind of content and at which scale they produce it at. Once you know what product you’re interested in dropshipping, you have to find out where to actually source that product from. Start this process by creating a list, preferably a spreadsheet (use Google Sheets or AirTable) with names and sources so that you aren’t losing track of where you found a product. This spreadsheet/list can also serve as a database for reference in the future. Do not underestimate the power of a simple Google search. Search for your potential product in Google and watch autocomplete do its magic. Most autocomplete suggestions are popular keywords that are based on what other search engine users (i.e. your potential customers or suppliers) are looking for. You can even hone into these autocomplete results to give direction to your brand strategy as you can find correlating terms, etc. Furthermore, the Google search results will also yield a list of “related searches”, which are essentially similar keywords that are high-volume search phrases. Another unique way of basing your product choice on consumer demand is to check out product forums and review sites. Look for comments that are looking for certain types of products or are raving about it – then supply them. The review sites can also act as a ranking parameter as the more popular products will rank higher which means a better chance at making more sales on that particular good. Check out these product-related Reddit threads to get a better understanding of consumer thoughts and demand, and check out popular product review blogs such as Uncrate, AcquireMag and Bless This Stuff or trend publications such as PSFK, Cool Hunting and The Cool Hunter. Find a more complete list of these resources in our Trending Products to Sell Online: The Definitive Resource. A lot of these products can be related to pop culture and trends in the media which influence buyers, so this is not a definitive list of what works and what doesn’t – just the most popular selling items over the past year. Once you can understand trends in the media, it may benefit you as a business owner to forecast product trends, too. The entire drop shipping model is based on the supplier doing their job well and fulfilling orders punctually and efficiently. Therefore it goes without saying that choosing the right supplier is one of, if not THE most important step towards setting up a successful brand. If your supplier/vendor messes up an order, you and your business are responsible, so the key is to find someone who sticks to the plan and is open with communicating any issues. Find an experienced drop shipper with helpful sales representatives. Nothing beats experience. A drop shipper who knows the pitfalls of drop shipping and how to handle them efficiently, coupled with a sales rep who can answer any queries to put your mind at ease, will make a good team and definitely reflect positively on your business. Find a dropshipper who provides top-notch, high-quality products. High-quality products yield a higher level of customer satisfaction which means a lower rate of returned items and dissatisfied customers. Product reviews and testimonials can go a long way to boost business, therefore having a good quality product is imperative. Find a dropshipper who has technological abilities. When choosing your drop shipper, make sure that they have the technological capabilities to keep up with the times. If you need to scale your business, it would be a shame if you had to break a great business partnership with your drop shipper just because they wouldn’t be able to keep up with your growth. Find a dropshipper who is punctual and efficient with the shipping process. Drop shippers who ship products within a 24-48 hour period are a great way to ensure happy customers. Due to the competitiveness of the market, long shipping times can be unattractive your customers. It would be advisable to place test orders with your supplier to see how the process works and get a better idea before you make an informed decision. As simple as it may sound, Google is your best bet when looking for drop ship suppliers. Several startup incubators and websites dedicated to ecommerce, that pop up as search results, will have complete directories of drop shippers and their contact information. Once you’ve obtained contact details for dropshipping suppliers who provide the products you’re interested in selling, send them a short but polite email asking some relevant questions. This way you’ll be able to gauge how quickly they respond and how helpful their sales reps are. 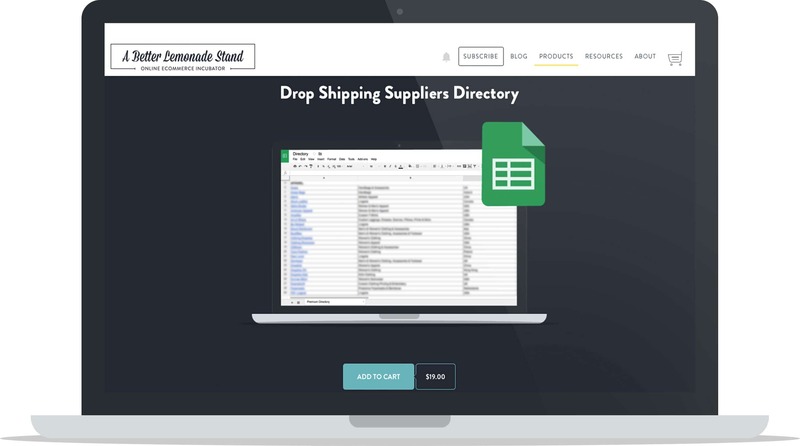 Bonus: Check out our Drop Shipping Suppliers Directory for a curated list of vetted drop shippers, including contact information, website URL and what products they specialize in drop shipping. 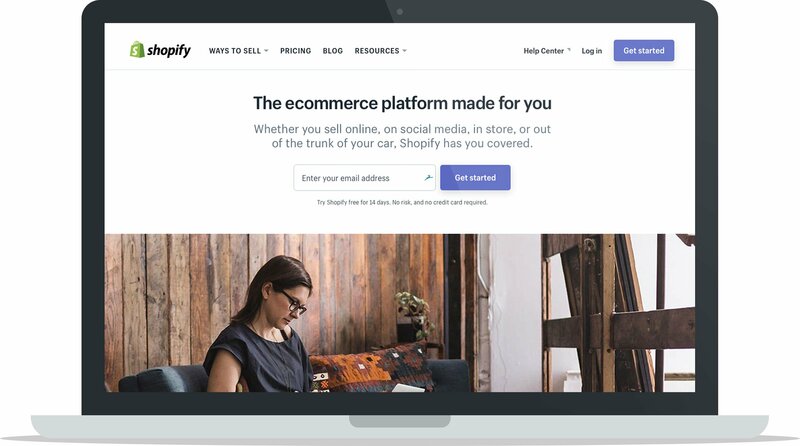 Also, check out our article of the 10 Best Shopify Dropshipping Apps to Help You Acquire Inventory for Your Business to find reputable drop shippers that integrate directly with your Shopify store. It’s not always possible to know whether you and your suppliers will be a great fit right off the bat, however, it is possible to ask specific questions that will make the vetting process more efficient. Are there any other additional costs besides the direct costs? (Always make sure there are no other hidden costs). Do you have a dedicated rep that will answer any of my questions that may arise? The point is to make sure that the supplier doesn’t take advantage of you because these questions prove that you have done your homework. The last thing you want is to not be taken seriously because you are considered a newbie. The retailer-supplier relation is a long term one, thus needs a certain amount of commitment to it. That being said, there are many dropshipping scams out there, too. In order to safeguard yourself and your business from them, you need to keep an eye out for any red flags. For instance, if a dropshipper does not accept checks or credit and asks for only bank transfers, it may be a warning sign. Scammers will also avoid using an address on their business correspondence, website, etc. Any supplier that is working legally is required to display an address. Furthermore, many scams also involve the age-old “membership fees” – while this may not always be a scam, it’s advisable to conduct thorough research and do your own due diligence! Use online tools to check the age of a domain: This will help you cross-check the facts with what the supplier claims. A newer domain could indicate a scam, especially if it doesn’t match their answers. Besides, as discussed before, checking the domain age can also help establish how experienced the supplier is online. Check reviews about the particular supplier online: Chances are if someone has been scammed by the supplier before the victim might have put out a warning message/negative review. The supplier’s business should be registered and the address of their warehouse/office should ideally be listed as a place of business or commercial space. Getting “residential” space results online may be a bad indicator. If you are still unsure, you could always contact the manufacturer directly to cross check any facts. Just be wary about the fact that if it’s a big scam, the supposed “manufacturer” might be in on it too. Asking the right questions, taking the required precautions and doing your research should help you find the right supplier that fits your business! Once such major aspects are dealt with, you can focus on setting up a system for running your day to day operations as smoothly as possible. Bonus: There are lots of great tips to help you safeguard yourself from scam suppliers in our Ultimate Guide to Safely Sourcing Your Product From Alibaba article, as well as additional information on how to successfully contact a potential supplier. So you’ve done your research, you’ve managed to settle on the perfect products to dropship and have roped in the best supplier possible. You’re all set to start dropshipping goods and making that mullah! However, setting up the business is usually one thing, but running it on a day-to-day basis is a completely different ball game. There are various different aspects of running a business, even if it’s a dropshipping business, that you as the retailer have to consider: Marketing, refunds, returns, replacements, inventory, fulfillment, customer support and more. So dive into these various aspects of running a dropshipping business. How will you sell your products if no one knows about them or your brand? Why should anyone online trust you – a stranger? That’s the magic of marketing; it can make even strangers trust you enough to hand over their hard-earned money to you, willingly. Marketing is a subjective field and there are a billion tactics that can be used to effectively position your brand while driving your brand’s awareness and sales up. If your strategy is well planned, it can help you weed out the rest of the competition too. Check out our Simple Ecommerce Marketing Plan Worth $118,000 to help build a marking plan for your dropshipping business. One of the most effective ways to promote, advertise, acquire customers and distribute content is through social media, so it comes as no surprise when social platforms are also used for digital marketing. Facebook, for example, has over 1.7 billion active users from different walks of life and it is this variety that makes it so attractive to digital marketers. One thing to remember is that content is key. No matter how big a platform is or how amazing the product that you are selling is – it means nothing without great content backing it up. In the drop shipping business model, a few bad customer reviews can literally ruin a business. Think about it – when you shop online from websites such as Amazon and eBay, one of the deciding purchasing factors can be the product rating and what other customers have to say about it – it’s the same case with drop shipping too. A few great reviews can also give you that edge over the competition and that’s what’s going to help you successfully convert visitors to your website. A surefire way to get great customer reviews is by following through on amazing customer experience: Short shipping times, high-quality products, excellent customer service and asking for feedback to improve in the future. You can also use customer feedback as testimonials for your website and social media, which can also help you successfully convert more customers. 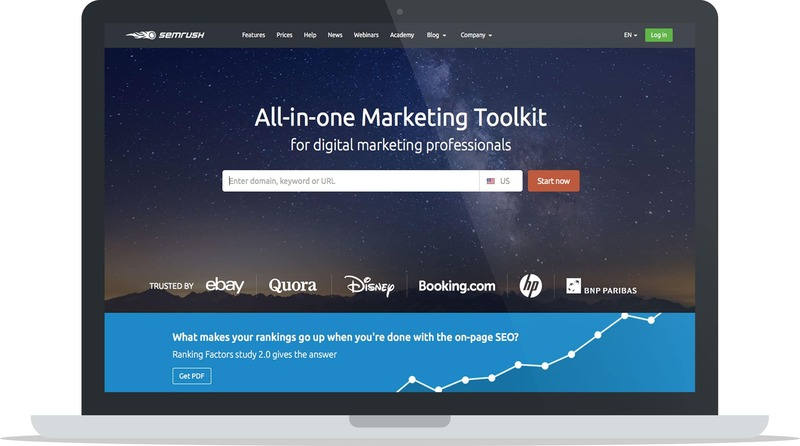 This is one of the most underrated tools in a digital marketer’s kit. Email marketing can be used to keep your customers in the loop about any major changes in the company: Price changes, sales, discounts, product-related content, and industry-specific content are just some ways that email marketing can be used. 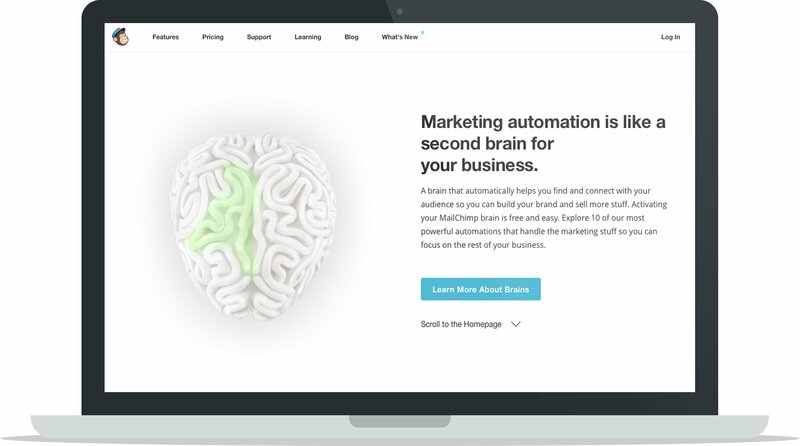 These days, software such as Mailchimp takes out the hassle of sending out emails to your audience by automating some of the processes, creating and saving templates, and producing reports and analytics. As mentioned earlier, several social media channels allow pay per click advertising, for example, Facebook ads. This is a typical digital marketing move that trades money for traffic to the ad buyer’s website. Google AdWords is another very popular platform for digital advertising and is attractive due to the Google Analytics tool that can help marketers create reports with facts and figures with ease. Growth hacking is an inexpensive, yet highly effective way of getting creative marketing campaigns online. 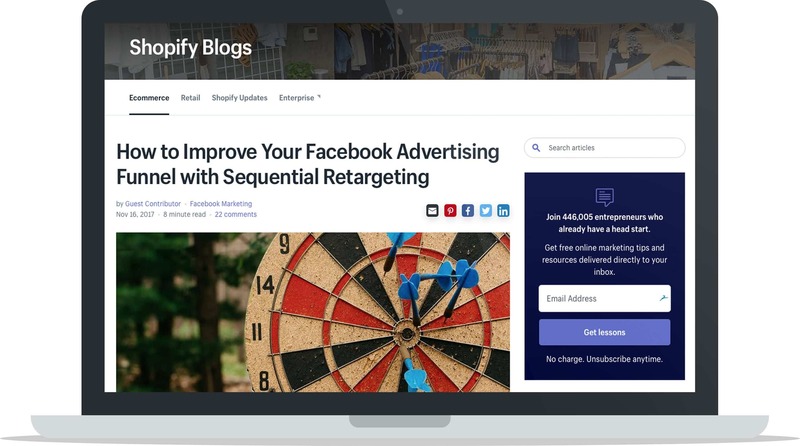 A few examples of growth hacking include retargeting old campaigns and appearing as a guest blogger for a popular website in your particular niche. Essentially most of this involves content marketing. As an online business owner, dealing with refunds, returns and replacements is inevitable. Initially, this may seem discouraging however it’s just part and parcel of running an online store. 100% customer satisfaction is a myth no matter how hard you try. The customer will place an order for the refund with your business, either through email or over the phone. You are then required to ask the supplier for a return merchandise authorization number. Once the customer mails the product back to the supplier the supplier will refund the wholesale amount to your account, after which you can initiate the refund of the retail price for the product to the customer. Even though this process may seem tedious, if the customer is returning a product within the time period stated in the supplier’s return policy, there should not be a problem. The only minor inconvenience that you may face is if the supplier charges a restocking fee, which you as you the retailer will have to bear the cost of. In actuality, this should not be a major loss but rather just a minor inconvenience that comes as a side effect of owning an online business. Important: While this might be a general returns & refunds procedure that many drop shipping suppliers operate by, it does not mean that all drop shipping suppliers operate by this system. It’s important that you ask your drop shipping supplier how they handle returns & refunds so you know how to handle them and can communicate the process clearly to your customers. Defective items can be slightly trickier: Even if the customer is returning a defective products someone will still have to incur the cost of returning the product. However, if the cost does land upon you, it would be unwise to transfer the cost onto the customer at the risk of losing or alienating them. It’s not your customer’s fault if you sold them a defective product, so it seems unfair to expect them to incur the cost of returning the product. What Do You Do When it’s the Supplier’s Fault? If the supplier messes up the order, they are usually willing to either reimburse the customer or replace the product for free. Most of the times it comes down to communicating what you expect from the supplier if they do mess up an order. In most cases, it is best to communicate over email as it also serves as a written record of conversations. In cases where a mix up has caused your company a large loss and the supplier refuses to pay you back taking legal action is always a viable option – this should only be kept as the last resort in extreme cases. With the drop shipping business model, even though you don’t personally maintain any inventory, as a retailer you may still be required to manage inventory orders if your orders are not forwarded automatically to your dropshipping supplier. 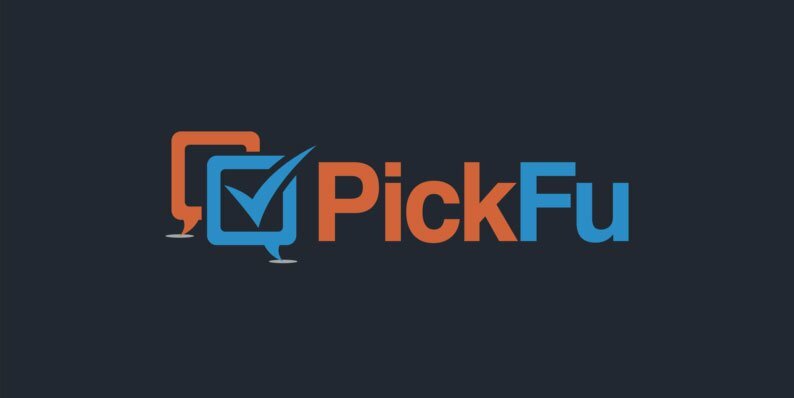 This process can be time-consuming and tedious, but there is now inventory management software available online and many drop shippers will have an app you can connect directly to your Shopify store so you can automatically forward your orders. If a customer has placed an order and the product is out of stock simply put the product on backorder in the supplier’s inventory and communicate to the customer that you will not be able to fulfill the order right away. Give them the option of waiting until the product is in stock again or for a full refund. The key is to communicate with your customers clearly on whether the product will be available anytime soon. If you aren’t absolutely sure, take a calculated guess – and let them know the same. Honesty and communication with your customer is the best policy in this situation. The dropship fulfillment process is heavily dependent on your level of involvement – do you want to automate it or not? Certain aspects will be automated such as the receipt of purchase, shipping information, etc. If you have multiple suppliers, the fulfillment process will include sending all your orders to the appropriate supplier via email. The best supplier for each product and customer will rely on the location, cost of shipping and availability. These processes can be automated at varying degrees. Even though we discussed scams on the dropshipping supplier’s end, fraudulent activities are not just limited to them. While running an online store, it may be common to come across fraudulent dropship orders from fraudulent customers. One way of telling these fraudulent orders apart from the genuine ones is when the shipping address and billing address are different. Sometimes even the name on one either address will differ. These could be clear indicators of credit card fraud. Providing good customer support can determine how well your dropshipping business does. Due to how competitive the drop shipping industry is, if a brand has a good customer support system it can do wonders for the company. Phone Support: Having a phone customer support system is one of the quickest and most efficient ways of connecting directly with the customer. Not only is it easier to defuse tricky situations, but it is also the fastest way to get feedback from the customer. Google offers tools like Google Voice which lets you set up a free number that routes calls to any number specified by you. Similar alternatives include the Hushed and Burner apps. Email Support: While the telephone is a popular method of customer support, email is more likely to be your primary method of providing support. It is advisable to set up domain emails for your website (example: hello@yourdomain.com) – Not only is this professional but this also establishes your brand as a legitimate entity in the mind of your customers. Helpscout is an excellent email support software. Social Media Support: Customers turn to social media pages of brands sometimes even before contacting the brand itself. This is because social media is a public forum and more often than not customers will already find the answers to their questions there. A good customer support representative on social media will be sure to engage with the audience even if the feedback is negative. This can help establish good faith between a customer and the brand. Live Chat Support: Several brands are incorporating live chats on their websites as part of their customer service and support systems. This method is gaining popularity because it is as quick as a phone call, yet less intimidating then posting queries on a public forum. 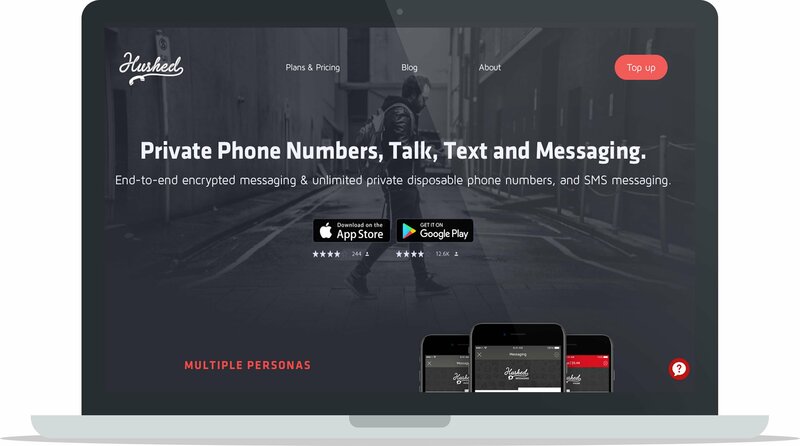 If you don’t want to invest in this yet, you can just use social media such as Facebook Messenger, or the direct message services on platforms such as Instagram and Twitter. Live chat customer support may not be the best way to go if your business is still limited to one person and can be worth exploring when your business scales. Check out the live chat support apps on Shopify’s App Store. Once you have running a business down to a science it’s only a matter of time until your company really starts to take off. Scaling your online store can be exciting, but there are a few things that you should keep in mind. The key point to remember is that scaling does not mean double the hours of work for more profits, but on the contrary, it implies being able to drive the sales number up even more with lesser time invested – through efficiency and allocating resources smartly. There are two ways you could go about this, depending on how location dependent you want or need to be. You could either hire someone you know and work together with every day at a small office/coworking space or maybe even from home. The alternative to that is to hire a VA – commonly known as a Virtual Assistant. 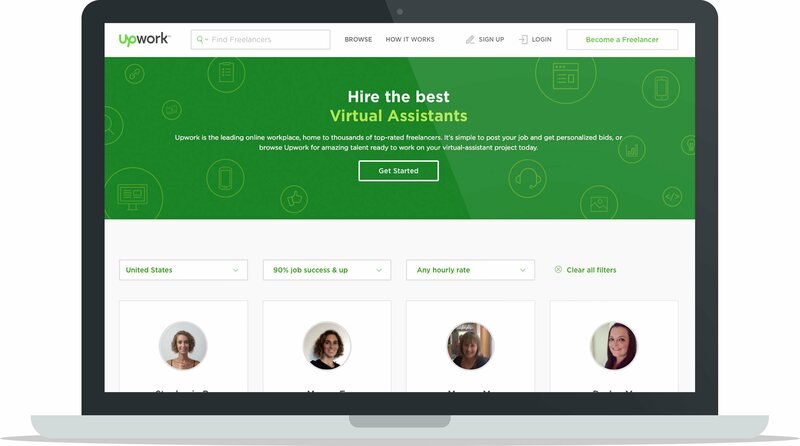 The most attractive quality of hiring a VA is that the person does not even need to be on the same continent to be able to successfully do the job – as long as they have access to a laptop, phone, and the internet, while speaking at least one of the languages that you conduct business in, you are good to go. In order to pick the right person as your VA, conduct a thorough interview over Skype and in person, if possible. Make sure that you have gone through their application and ensure that they have all the attributes required. Based on how much time you would have to train them, you can tell how well they would fit with your business. Shortlist at least 2-5 people so that you have some reliable backups if your original candidate doesn’t cut it. Training your chosen VA can be a two-way knowledge highway. Not only are you teaching them, but can also stand to learn from their previous experiences, inside and outside the industry. As your business grows, it would make sense that you would want to sell through multiple channels, namely Amazon, eBay, Oberlo, Shopify, etc. so that you can access a larger market. The problem with this is that you may list the same product from the same supplier on two different sites and get two different customer orders. It’s well and fine if the product is in stock, however, it may be problematic if that isn’t the case. Once backorders start piling up and shipments start getting delayed, customers often become unhappy. Building a good email list is all about having recipients who are highly targeted and constantly engaged. When you do have a strong email list it can end up being one of the single most important marketing assets that you own. Strong email lists are closely related to owning your own store (Shopify) instead of using a marketplace (Amazon, eBay or Etsy). With an email list, you have direct access to your customers – you don’t have to hope that they’re online and scrolling down their newsfeeds to see your posts, you don’t have to pay to get your emails into their inboxes, and you don’t have to compete with other sellers in your emails. Emails are one of the most direct ways to engage with your audience. While PPC ads might seem straightforward, it can be tricky to know where to invest your money. You don’t want to be investing in the wrong kind of ads only to realize that they aren’t bringing in the traffic that you need or want. Like with everything else: Do your research, especially when it comes to marketing and advertising online. 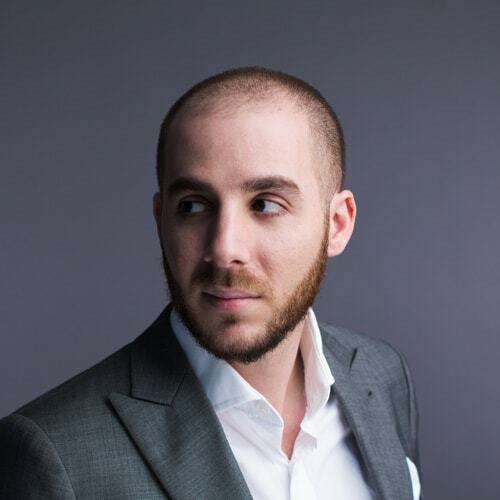 As mentioned earlier on in this guide, Irwin Dominguez, an accountant turned ecommerce entrepreneur, has been one of the greatest success stories for dropshipping in recent times. Within just 8 months of establishing his drop shipping business, Irwin was already earning over 1 million US dollars in sales. Reaching a sales record of up to $30,000, he says, was his goal, and he wasn’t aiming to live luxuriously, just to be able to provide for his family. “I literally just opened a Shopify account, created my store, added a few drop shipped products with Oberlo, and that’s it. I didn’t do a lot of reading or researching because I always try to learn by doing. Dropshipping ecommerce success requires very little capital and allows you to experiment a lot. This is what I love about it the most. I do have to admit, though, that I Google a lot of questions that come up as I’m learning by doing…. …If I started ecommerce all over again, I would start sooner. I waited a full month-and-a-half after my good friend told me about his ecommerce success. It costs no money to launch a store and it’s so “simple” to get started with all the technology available right now — just get started, you literally have nothing to lose. Bonus: Check out our article on Finding Drop Shipping Companies or purchase our Premium Drop Shipping Suppliers Directory that includes a curated list of vetted drop shipping suppliers. 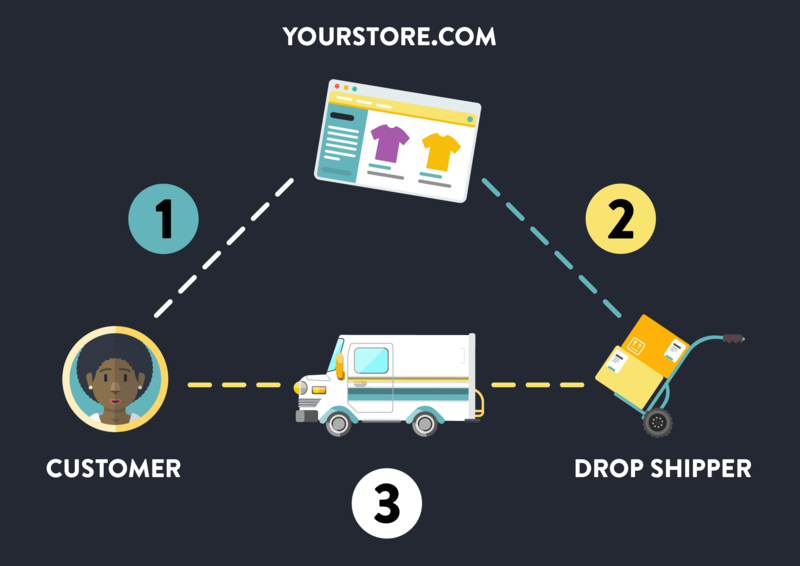 Also, don’t forget to check out these blog posts: How To Start A Drop Ship T-Shirt Business In 24 Hours and 72 Hour Drop Shipping Business. So this concludes “The Definitive Guide to Drop Shipping”. If you have made it here, you know how to set up and kick start your own drop shipping business. Just like with any other endeavor in life, setting up your own business also requires a certain degree of commitment, effort and passion to make it work. It’s not just about creating the business but also following through and learning how to run it on a day-to-day basis. The best part about dropshipping is that you can learn through testing your products and ideas, in real time – If something doesn’t work all you have to do is remove it from your store. This business model is also a great way of testing out product ideas for the traditional business models. Dropshipping provides a safe space to experiment and see what works without incurring any major losses – This can definitely give business owners the confidence to say that they have a working knowledge of how the industry functions. No upfront cost and very little risk make the dropshipping business model an exciting business model to venture into. So experiment with dropshipping your way and let us know how it works out! Share this guide with someone who would find it useful. Do you have any tips and tricks or general advice that could help the ecommerce community? Let us know in the comments down below!